Willa Sibert Cather (December 7, 1873 - April 24, 1947) was born in Back Creek Valley, Virginia on a small farm that had been in her family for six generations. In 1883, the Cather family moved to Nebraska, relocating to the town of Red Cloud the following year. Willa spent the remainder of her childhood in Red Cloud; she would later make the town famous by featuring it in her writing. Willa insisted on attending college and her family borrowed money to send her to the University of Nebraska-Lincoln. After college she moved to Pittsburgh, and then to New York City where she went to work for McClure's Magazine . As a writer, her early efforts were inspired by Sherwood Anderson and heavily influenced by Henry James. Sarah Orne Jewett advised Cather against relying so much on James' influence and she came into her own voice when she focused her writing on the prairie, garnering popular and critical success, culminating in her winning the 1923 Pulitzer Prize for One of Ours . 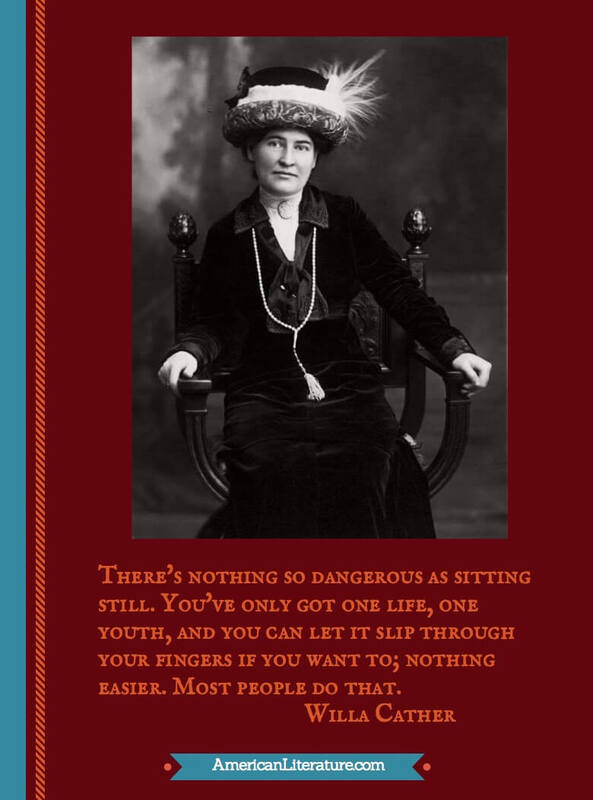 We feature Cather in Pulitzer Prize Winners. 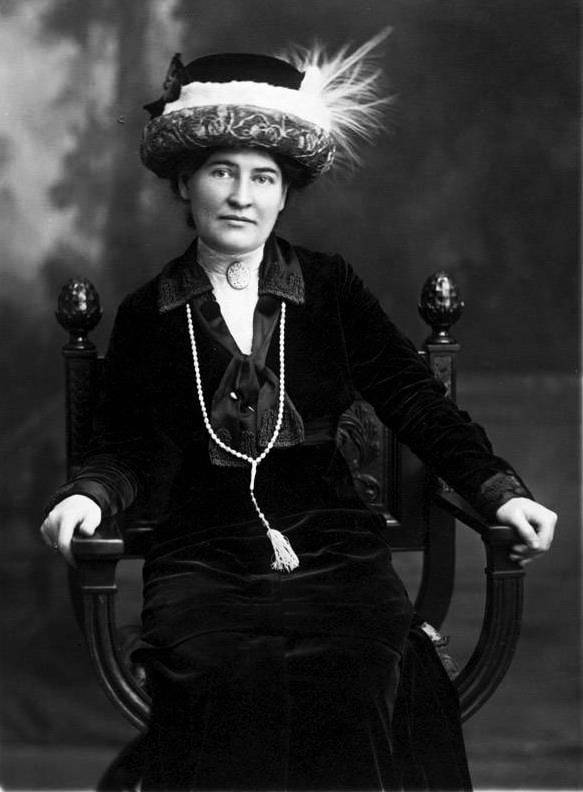 Willa Cather was an intensely private individual. She often destroyed her old drafts, personal papers and letters. When she died, her will stipulated that Edith Lewis destroy her nearly completed novel, Avignon , and restricted the ability of scholars to quote from the personal papers that remained. While attending the University of Nebraska, she sometimes wore men's clothing and used the nickname "William." Her primary relationships were with women, and she lived with the editor Edith Lewis from 1912 until her death in 1947. As you might imagine, scholars and feminists have busied themselves writing about her sexual orientation and the role of female relationships in her work. She was well respected by critics and other writers. H.L Mencken was fond of her writing and when Sinclair Lewis won the Nobel Prize in Literature he said she should have won it instead. My Antonia has been a favorite of readers here at American Literature as well as her short story, On The Gull's Road . 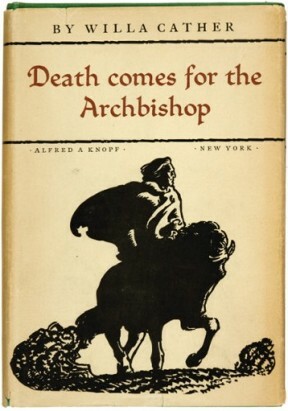 Her novel, Death Comes for the Archbishop (1927) is included in Modern Library's hundred best novels of the twentieth century. We will add it once available in the public domain.